The late Sharon Otieno will be laid to rest today Friday October 19th. Her body left Kirindo mortuary on October 18th for Magare village in Homa Bay county. 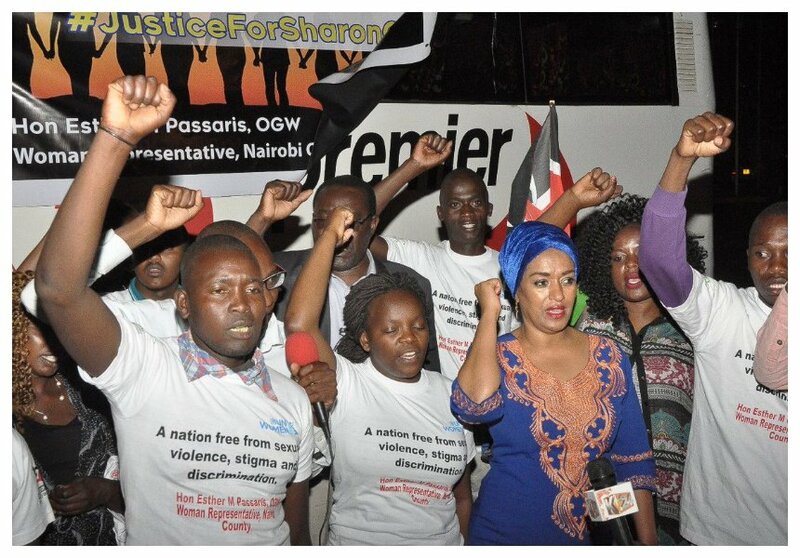 Nairobi Women Representative Esther Passaris on Thursday evening saw off a group of mourners who were leaving the capital for Homa Bay to attend Sharon’s funeral. The group traveling to Homa Bay was sending a strong message to Migori governor Okoth Obado and the nation at large, they wore t-shirts written “A nation free from sexual violence, stigma and discrimination”. Some critics however dismissed the group claiming they had ulterior motive, some claimed they were the so called ‘paid professional mourners’ who were included in the fake burial budget.